This past week I’ve made multiple visits to my grocery store to stock up on supplies to sustain me through this long, wild, holiday weekend. I do not want a repeat of last year when I was reduced to peanut butter sandwiches by the third day. The Songkran Festival is the traditional New Year’s Day in Thailand. It can be confusing to a foreigner as the calendar and the Lunar New Year are also celebrated in this country. Sometimes it seems like every new week brings another reason to sing Auld Lang Syne. Where Songkran differs from the other two dates is in the deployment of generous amounts of water. Because this takes place at the height of the hot season, the idea of having a few drops sprinkling upon oneself can be refreshing and perhaps in the past that was as far as things went. But times have changed and now much of the country is consumed with enthusiastic water fights. In cities such as Udon Thani, it can involve the entire clan: A tub containing a huge block of ice is loaded onto the back of the family pickup along with bowls and containers. The gunnery crew (mom and the kids, maybe a cousin or two) then seat themselves around the tub as the truck heads downtown to do battle. Cruising slowly along the main street, stunningly cold water is hurled at the people in the back of the oncoming vehicles, who are of course returning the fire. I participated in the festivities up there a few years ago and had a blast. Not so much anymore, however. In my Bangkok neighborhood, the water throwing is more a brutal form of guerrilla warfare than some family outing. 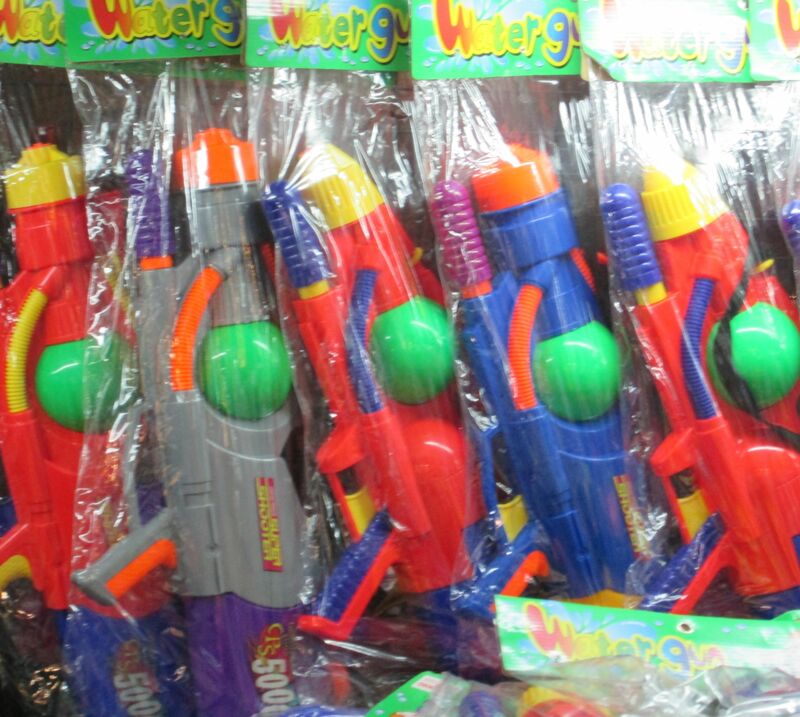 Thais and foreigners alike scamper about armed with monster squirt guns — sold everywhere, even in the 7-Elevens — soaking anyone who comes within range. All in good fun, or course, unless you are trying to go somewhere and wish to stay dry. Get caught in someone’s crosshairs, and you are in for a bath. There’s also an element of borderline craziness, such as the fellow last year who stood out near the apartment gate for almost three hours as the rumpus raged, screeching the same unintelligible phrase over and over. It was more than a desire to avoid a drenching that kept me inside: I did not want to go anywhere near that weirdo. Therefore I am hunkered down for a few days. This is not a huge imposition. There are always little things to do around my apartment, such as defrosting the ice box, that I’m forever putting off. Should I need to go out, I’ll wear an old t-shirt with a swimming suit and keep my money dry by folding it into a large condom — a kind of dual-purpose wallet. I’ll also try to duck. ← I Must Do My Exercise!